A Children's Picture Book for ages 3-7. This is just the beginning for Valentino the Monkey. As the sun comes up one beautiful morning; Valentino decides to do something special for his neighbors. 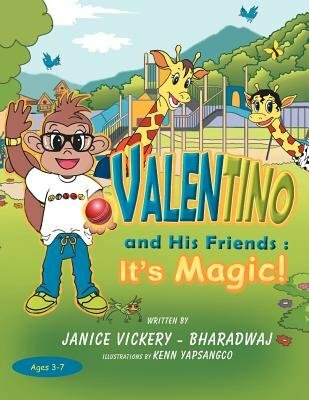 From that day onward, Valentino and his pals Max and Autumn go on an adventure filled with great ideas and "magic." This is a lovely story of friendships, of kindness toward others, and characters so cute you cannot possibly help but fall in love with them.